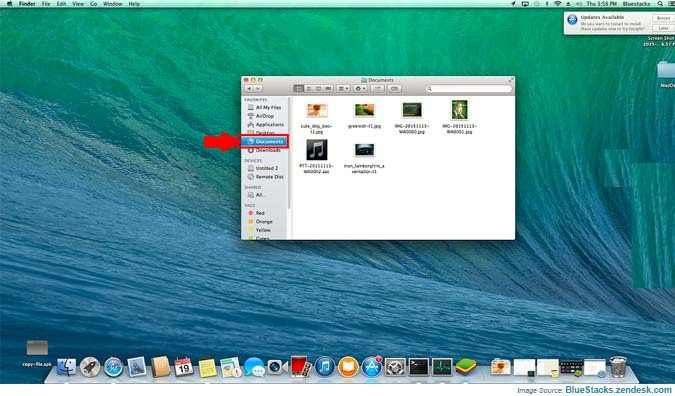 One can easily import files from Mac to BlueStacks app player. The process is simple and you can do that, by following the steps written below. 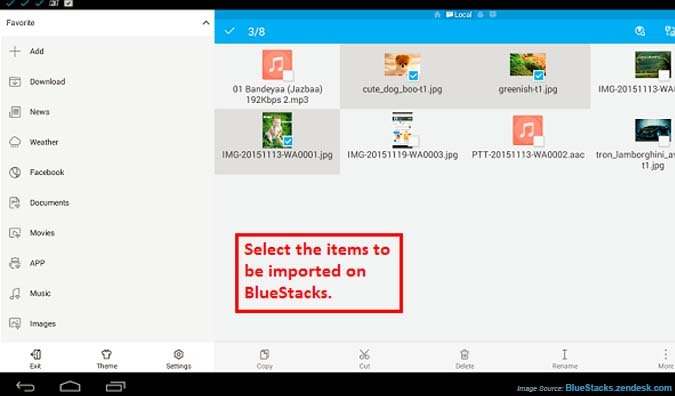 Importing files to BlueStacks from Mac is necessary if you want to share it over Android app. if you yet not downloaded the BuluStacks then read the information. First of all, copy the file in the ‘Documents folder’ on your Mac device. Now download and install ‘ES File Explorer’ on BlueStacks. 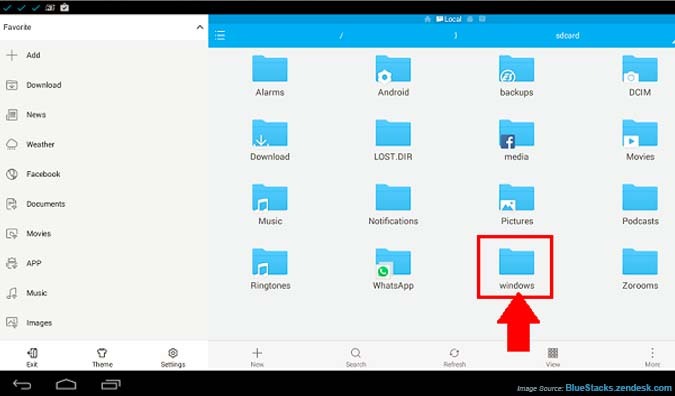 Launch ES file Explorer clicking on the icon, see in the image below. After it started, look up for the Windows icon at the lower right corner. See the image below to get the idea. At next, click on ‘SdCard’ option. See the image below to get guidance on it. 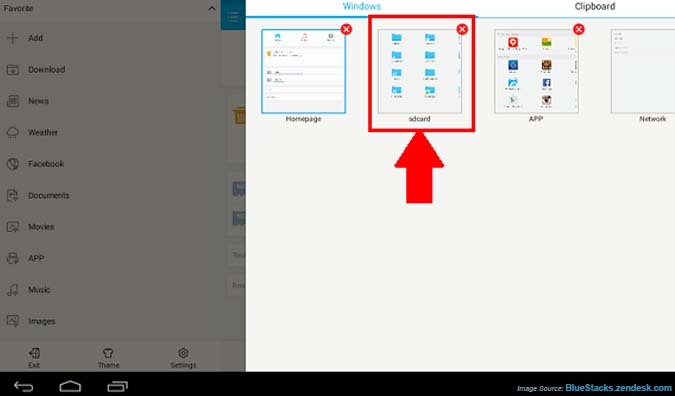 From the new screen, look up for Windows Folder and open it. Now from here, Open DOCUMENTS folder. Here you can see the items, which are available in Mac Documents folder. 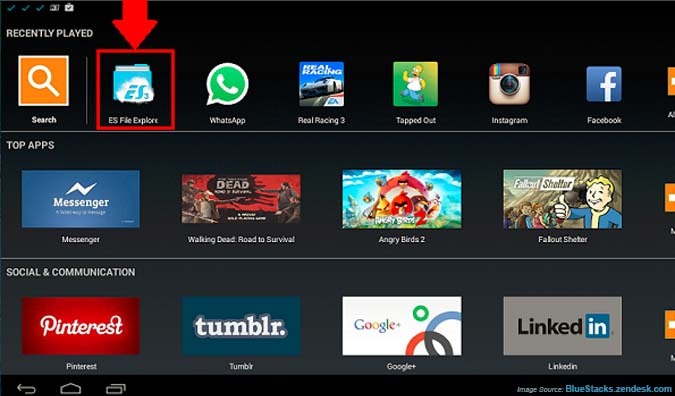 Shortlist the items which you want to import to BlueStacks, long click on it. Do not leave the click until the item is selected. Now from the lower right corner, click on ‘MORE’ button and then select ‘COPY’. Now select the folder, to which you want to import files. For example WhatsApp.